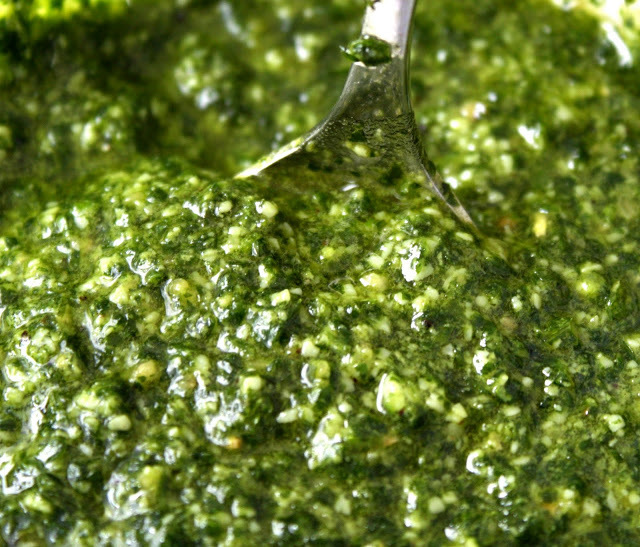 Who says you need basil to make a delicious pesto? The combination of cilantro and parsley tastes great and is a nice variation to the traditional pesto recipe if you don’t have basil around or want a change in flavor. 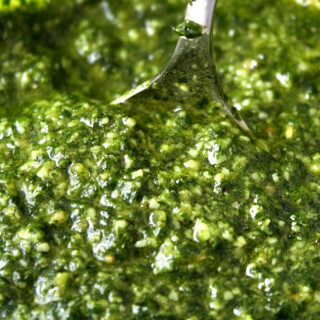 You can use this pesto as a spread, dip, or in pasta. I personally used this pesto along with sauteed mushrooms to make a tasty penne pasta dish! Add salt/pepper to taste and enjoy! Hmm, I never tried cilantro in my pesto. Sounds interesting. I will have to try that out. I'm not sure if you ever got around to trying this recipe, but I just posted another for avocado pesto which also turns out really good! This recipe is delicious! I used this pesto in my farro Bowl. Awesome! So great to hear! Thank you for trying it out. Try my vegan pesto recipe next!